On a hot summer day, escape to the valley and discover the unexpected highlights in the forests above Monte Carasso. 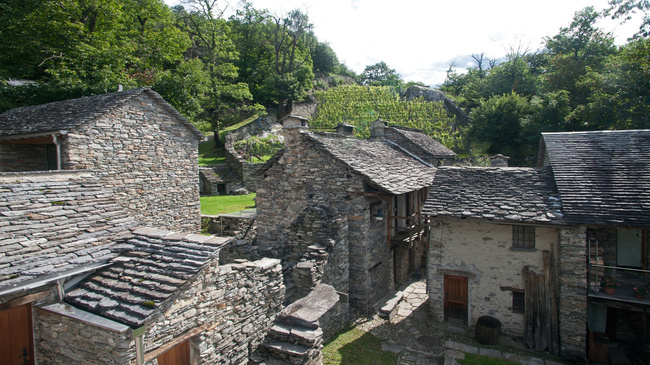 Visit the restored village of Corte di Sotto and the Romanesque mountain village church of San Barnàrd. 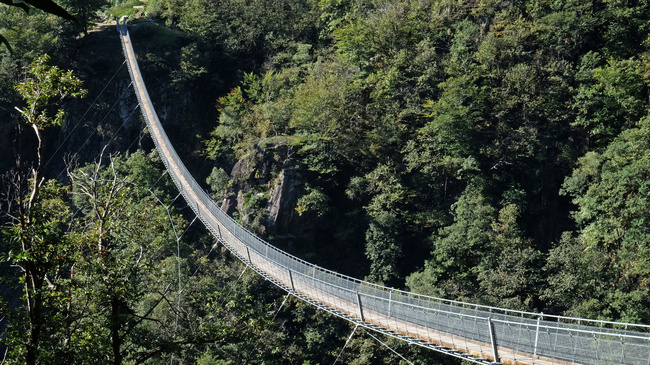 Don't miss the vertiginous crossing of the 270-meter-long and 130 meter-high Carasc suspension bridge, one of Switzerland's longest Tibetan bridges. Curzútt (Corte di Sotto) lies hidden in the chestnut woods above Monte Carasso. 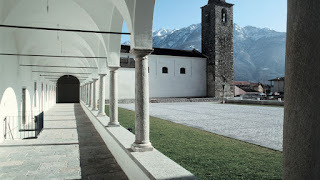 A second highlight is close at hand: the former (now disused) Romanesque mountain village church of San Barnàrd. Sumptuous frescoes depicting the "Madonna del Latte" adorn the squat interior of this small place of worship. 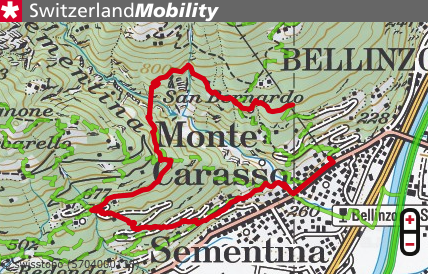 The route now climbs well over 150 m to the next highlight: the spectacular Carasc suspension bridge over the Sementina Valley high above Bellinzona (the entire hike has signage with the name Sementina Gorge). The bridge connects Curzùtte S. Bernardo to the Via delle Vigne; permitting pleasurable hikes amid chestnut woods in a historic, scenic and beautiful region known for excellent food and wines on reaching the other side. The suspension bridge is easily accessible with the Monte Carasso-Carzùtt-Mornera cable car – the valley station for which is located on the outskirts of Bellinzona. After passing the upland plain of San Defendente with a late mediaeval oratory, the route follows the old stone path that descends very steeply to Sementina and Monte Carasso. At the end, walkers will see the "Fortini della fame" (circular "hunger" towers) on the left, the Dufour defence line and the SS. Trinity church. Note: at the cable car valley station, ask for the large key to enter San Barnàrd church.